Internet has become a part of everybody's professional and personal lives. Not only are enterprises, increasingly using the internet to boost productivity, increase communications and efficiently use time bur property agents too offer residential apartments with internet access as a part of their sales pitch. 24online is a global player in billing and bandwidth management solutions and has an expertise that has been honed over 2000+ installations that extend to 96 cities and 30+ countries across the globe. Its enterprise/ residential billing and bandwidth management solution enables centralized billing and control. 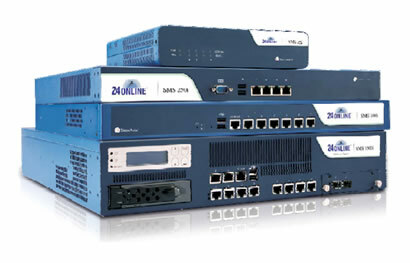 24online provides stellar bandwidth management function, which allows bandwidth allocation. Further, it helps control the misuse of bandwidth by providing variable bandwidth; enterprises can use this facility to allocate higher bandwidth according to users or time. For e.g. the enterprise can set a higher bandwidth connection for the MD of the company. The enterprise can thus control costs and save revenue leakage. 24online also meets the stringent requirements of the authentication mechanism within enterprises. The inbuilt RADIUS server and NAS (Network Access Server) ensure AAA and help enterprises manage users through captive portal gateways and allow access only on authentication of userid and password. Its scalability feature further ensures accurate billing solutions for growing organizations and residential areas over Wi-Fi, WiMax and cable. 24online is a comprehensive solution facilitating ISPs to offer customized business plans. Enables to generate pre & post paid PINs and flexible packages based on hours/days, data usage and discounts. 24online facilitates ISPs to provide internet access on secured networks increasing users' satisfaction. 24online solution is designed to be easy to setup even for non technical personal. Hotels save their valuable configuration time as 24online allows setting up and running system in very few days. Once 24online billing is set up, it has RADIUS, billing and guest management all ready to go. 24online is truly Plug & Play, requires no user configuration whatsoever on the guests' laptops. 24online is a comprehensive solution facilitating customized pre & post paid PINs and packages. It is flexible enough to easily allow framing various policies based on hours/days, data usage and discounts enhancing guests' satisfaction level. 24online permits hotels to manage and monitor various franchisees for their access and administration to reduce revenue leakages. It also enables hotels and franchisees to promote and generate extra revenue for their business by way of branding opportunities. 24online allows for the initial splash page to brand the establishment and hotel administration can modify the user interface for new conferences and events as they happen. 24online enables automatic user creation and activation. It supports auto-deactivation of account and auto-purging of deactivated temporary or walk-in users. 24online also facilitates online payments* and guest self-subscription reducing operational costs for hotels. 24online can be customized on all levels to suit any language and to change the user and administration interface. It supports using any currency, floating point values and multiple taxes. 24online solution is designed to be easy to setup even for non technical personal and students need to know very little about this protocol to get started. 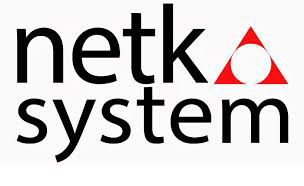 Universities save their valuable configuration time as 24online allows setting up and running system in very few days. 24online is truly Plug & Play solution, requires no user configuration whatsoever on the students' laptops/computers. 24online is a comprehensive solution facilitating customized pre & post paid packages, policies based on hours/days, data usage and discounts. 24online allows easy control and monitoring of various students for usage and administrative access. Stepping ahead with technology, 24online supports WiMAX and Wi-Fi technologies. 24online can be customized at all levels to suit any language and to change the user and administration interface. Reduction of Revenue Leakage: 24online’s facilities of automatic deactivation of accounts and allocation of bandwidth quotas reduce revenue leakage. Ease of Use: The easy-to-use graphic interface allows trouble-free implementation of multi-service offerings and does not require a high level of technical knowledge. Through instant renewals of prepaid PINs and password change facility, 24online allows subscribers to easily make changes in their accounts and helps in customer satisfaction. Customer Satisfaction: The instant account activation and automatic provisioning facilities allow subscribers to access the service immediately on sign-up. Further, auto alerts and reminders also cater to customer satisfaction. High Scalability: 24online offers a flexible and scalable system that supports rapidly growing businesses and eases the strain on customer-related functions. Reduces Error Incidence: The high automation offered by 24online reduces the chances of human error. Reduced Incidence of Frauds: The built-in RADIUS AAA, provides accuracy by checking IP and MAC addresses and considerably reduces the incidence of frauds. Improved Cash Flow: Easily deployable prepaid packages increase cash flow and reduce bad debts. Low Operational Costs: Sale of prepaid PINs at retail counters reduces operational costs to service providers. Increases Competitive Strength: 24online allows service providers to offer a range of prepaid and postpaid packages adding to their flexibility and competitive strength. Balanced Bandwidth Usage: With well-framed discounts, peaks and lows of bandwidth usage are reduced. This brings about balanced usage, reducing strain on bandwidth. Extra Source of Revenue: 24online's invoice facility allows the service provider to carry advertising messages of third parties, increasing revenues. Effective Marketing: 24online provides information to service providers about the subscriber usage trends. This can be effectively utilized by the service provider in its marketing policy. Greater Quality of Service: Restricting heavy bandwidth applications by high usage subscribers, frees bandwidth and gives high QoS, leading to higher customer satisfaction. Lowers Manpower Requirement: Centralized checks on network connectivity and auto backups through 24online reduce the need for large numbers of personnel to manually check the cause of trouble. Enables instant service: Automated checks on network connectivity, help in easily pinpointing the exact cause of trouble, leading to immediate deployment of resources to solve the problem. This ensures continued customer satisfaction, loyalty and great word-of-mouth publicity. Identifying and Judging Efficacy of Action: 24online's audit reports help service providers in evaluating their actions and judging their efficacy.